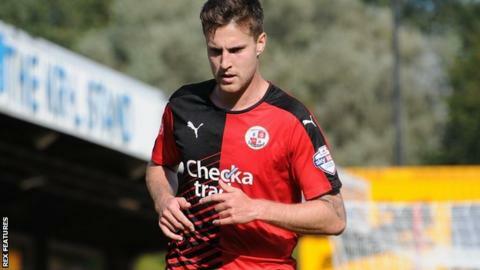 Grimsby Town have signed Crawley midfielder Conor Henderson on loan until 2 January. The 24-year-old former Arsenal trainee has made three appearances for the League Two side this season. He recently had a trial with Scottish Premiership side Inverness after being told he did not feature in boss Mark Yates' plans. Henderson could make his debut for the Mariners against Kidderminster on Saturday.